INFORMATION AND RESEARCH (MG-PANZERNEST AND VARIATIONS). Picture taken in Kursk (Russia) in July and August 1943. In 1943 he entered service on the Russian front ... Theaters of operations as the Eastern Front, Western Front or Italian Front, operated panzernest. Italian defense lines as Gustav and Gothic Line ... They placed defensive element of this mobile. Perfect for field fortification. In many front lines, armored Wehrmacht use this item. 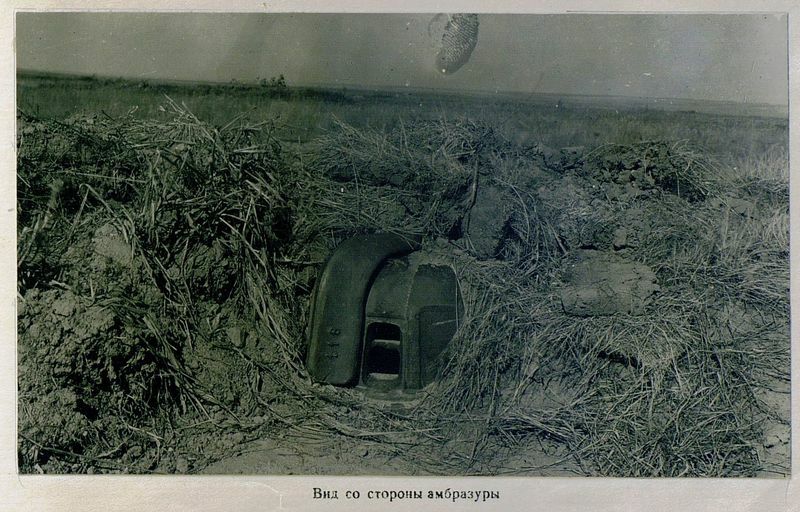 This bunker was designed for a crew of two men, had a gun, MG-34 or MG-42. A mobile gun nest by wheels that coupled at their sides and hitched to any vehicle such as a trailer. The soldiers then opened a trench and thrown inside. The Russians nicknamed him the crab (Краб), the reason is its armored panzer armor. Manufacturers like Krupp and others manufactured PANZERNESTS. INFORMATION AND RESEARCH (MG-PANZERNEST AND VARIATIONS). DMM. Last edited by Marcus on 25 Jan 2014 20:23, edited 1 time in total. Reason: Title changed from "(MG-PANZERNEST AND VARIATIONS)." K2 or K3 Panzernest type? Panzernest type rotating 360 º? (confirmed). Nationality and name of the manufacturer unknown. According to my sources, "K2" and "K3" were only Czechoslovak post-war designations, used during the tests. "K2" (original German Panzernest) and "K3" (rotating Panzernest with added mechanism from LT-38 tank) were tested during 1948-1949. None of them have been adopted as Czechoslovak armament. Both test specimens were scrapped. K2 or K3 Panzernest type. Ondrej Filip confirmed the same. My sources say the same. Italian steel plate minimum thickness.(confirmed). Could it be that all these variation are post-war and that there is only one Panzernest . Hungarian is not photographed in the Second World War. (Confirmed). The italinas versions nato panzernest used elements of the second world war, it is possible that it was built by Italian manufacturer of steel plates. The 360 ° swivel version is I think the second world war but can not confirm. Hungarian is photographed in the Second World War. (Confirmed). Panzernest K2 = Panzernest kulomet2? Panzernest K3 = Panzernest kulomet3? "MG.-Panzernest (ungarisch): Einbauanweisung wird bei Zuweisung in genügend Exemplaren mitgeliefert"
So, probably at least some prototypes existed. Or, description refers to normal instruction in Hungarian? - Italy - widely re-used after some changes in interior, also seems that new production was made (new castings of the hood, new loopholes, new doors), rotating version, "flat nose" version that seems to be a merge of before-the-war armoured MG post from italian operas and Panzernest , also seems that a mix of elements form war and after war panzernests was used. If there are small variations in manufacturing. According manufacturers. agh ......... (Saarländisches STAHLWERK Dingler, Karcher & Cie. GmbH). akh ......... (Bergische Stahlindustrie Kg A. A.). Note the panzernest not think codes are KRUPP. Can anyone provide a photograph with code panzernest KRUPP? Does anyone know the unknown code? Anybody know any new code? Please photograph. There is a number of photos with 2 or 3-digit codes, e.g. : 12,19, 24, 28, 238 with no additional markings.